The last race of the season, and still only just up to 60 mins of running with continued rehabilitation, we left it until the week before to make the final decision to book flights and accommodation. The pull of a long weekend in a beautiful place, warm temperatures, and being back racing again, won me over! However, I have to say I wasn’t expecting temperatures in the mid 30s! It was an afternoon race, and the age group women went off at 12:20. It was a non wetsuits swim, and despite rough seas all week, was very calm, and very clear – truly spectacular. Unfortunately for me, there was a lot of running to do. Transition was up a hill, a long way from the beach and was a very long thin transition, with just 3 rows of bikes. 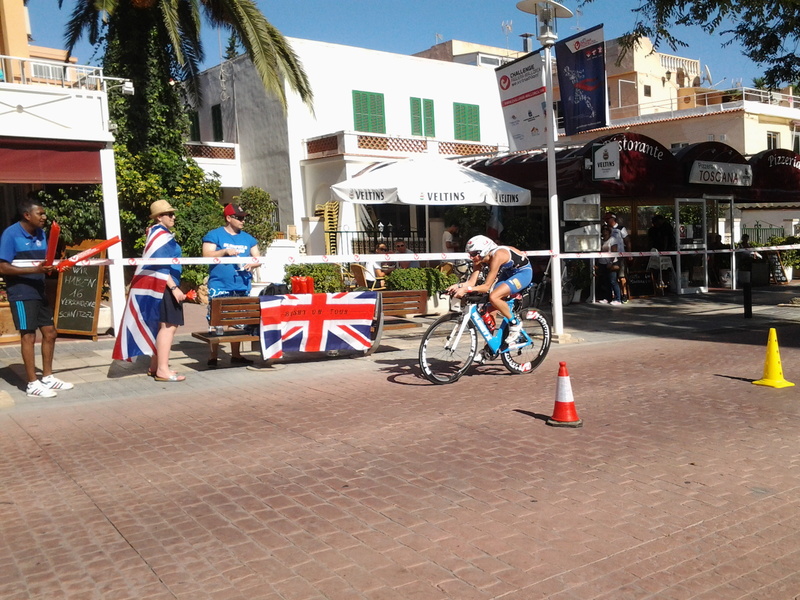 Subsequently, it was great to get out on the bike course to try and reel the competitors in! The course was 2 45km laps, which was technical, undulating and very hot! Despite a couple of stops, one due to my front bar water bottle collapsing onto my front wheel and jamming my brakes on, and the other due to someone’s gel wrapper sticking to my front wheel and getting stuck in my front brake calliper, I headed back into transition as one of the first age group women back, 2nd fastest age group bike split, and a 3 minute lead on 2nd place. Then after having to run up and down the entire length of the transition, I went out on the run, not knowing what to expect. Unfortunately, my hip flexors just did not kick in, and I physically was unable to run up any incline. It was disheartening to be honest to see my lead slip away, and not being able to do anything about it. By the end of an incredibly slow first lap of walk, run, I stopped seeing Ade (husband) and was quite prepared to call it there and then. However, he convinced me to give it another lap, and it was sound advice. After a long stop, a good stretch, the hip flexors started to kick in and lap 2 and 3 were pain free with no walking, and I started to reel her back in. However, the damage was done after the first lap, but was very pleased to finish only 2mins down in the end and with a silver medal, despite injury. 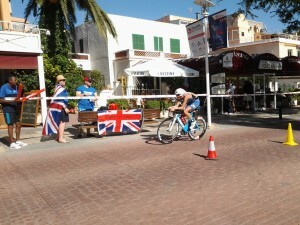 It was a tough race, running in over 30 degrees heat, but the atmosphere and organisation of the event was brilliant. The finishing celebrations and Awards evening, were one to remember, and considering the season looked to have ended for me in June, it was a great way to finish the year! Now its a winter to get strong, injury free, and running again! Huge thanks to Planet X for providing great kit, and fast bikes, Dorset Flapjacks for keeping refuelled, Zone 3 for an amasing wetsuit, (although it wasn’t allowed in this race! ), Apres for helping my recover, and Thermo pack for keeping me cool in some high temperatures!